"Boffo?" Barf out! Gag me with a spoon! Really needed this advice right now, thank-you guys! we are 6 people in my semester! and i love it. Some people have faces for radio, but these two have voices for silent film. I'm out! Once upon a time, I had way too many friends (or people who i really wanted to be friends with) that just wanted to stay at home and I and a few others, if we were organising something, would literally have threatened them to socialize and after many failed and slightly awkward attempts, finally we're a squad so I couldn't agree with Hank more! yay! grace and hank! is there one with Hannah and Mamrie? coz that would be perfect. a puppy and an elephant! dah. On the flip side of this question, I got my MPH from one of the fancy schools, but after I graduated I realized my most important learning experiences did not come from that program, but the practical experience I gained through internships, etc. I love this episode! Grace is so confident and sincere in her advice and their story telling is so insightful. this podcast is wicked tuna, baffo! I love this podcast. Please don't follow Grace into coma land. Oh, man! Please do this video. Download 008 - Dear Hank and Grace! Users who like 008 - Dear Hank and Grace! 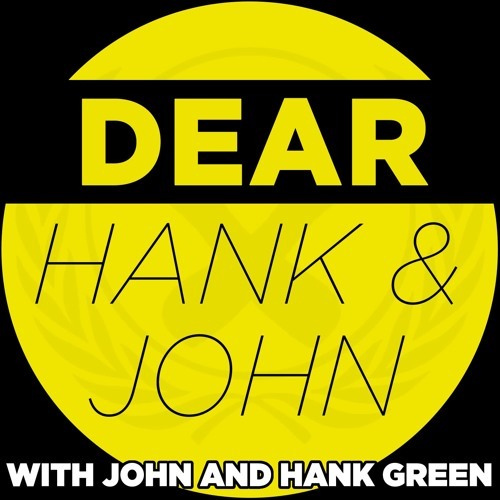 Users who reposted 008 - Dear Hank and Grace! Playlists containing 008 - Dear Hank and Grace! More tracks like 008 - Dear Hank and Grace!